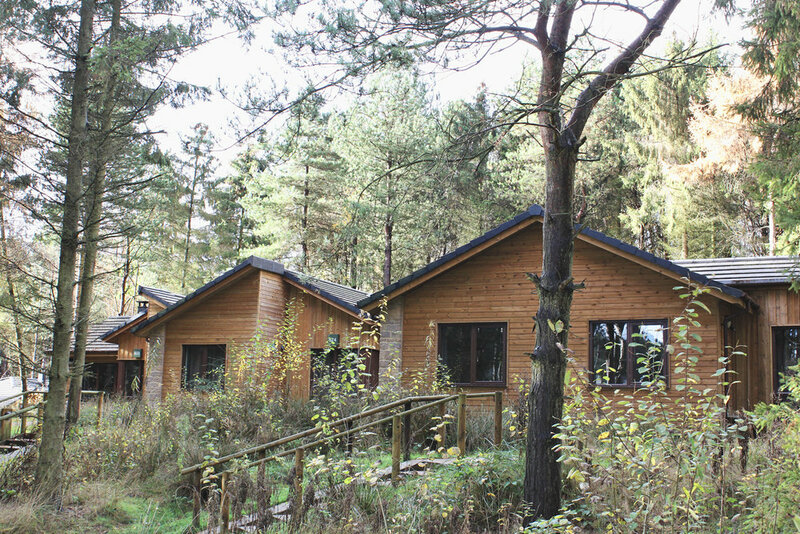 This November was the third year in a row we have been to Woburn Center Parcs. We were there with my brother and his family, my Mum and an ever-increasing group of friends. I made myself go for a run early (almost) every morning while we were away as this is the best time to really appreciate what makes the place so special. The lodges are starting to blend into their surroundings now, the forest and all its inhabitants were slowly waking up, squirrels rustled through the leaves, I heard woodpeckers up in the trees and not a car to be seen. It is perfect to just step out and have this all on your doorstep, you can have a lovely run along the many paths and up round the lake. 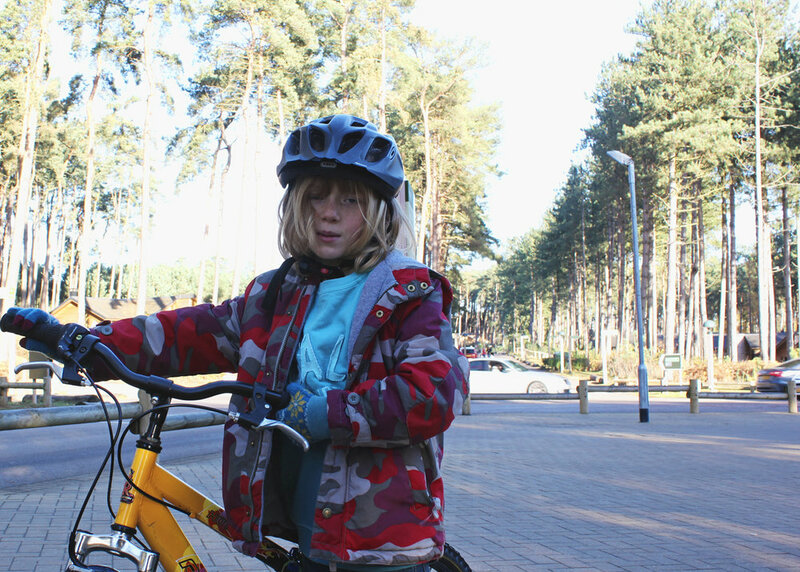 Our mornings were spent on wheels of various kinds, exploring and perfecting Noah’s cycling skills, who came on leaps and bounds over the course of the stay. Cass is now a proficient scooter – he scares the life out of me the speeds he can get up to on that thing now. The main event for us was the swimming in the sub-tropical dome. I have never been to a pool like it, we spend on average 3 hours a day in there, and the kids still think it isn’t enough. This is where going with a big group really comes into its own as there is always someone willing to play sea monsters, someone free for a wee break, someone happy to go off down a flume with or catch a drift down the lazy river, someone watching the littlies earning their water wings, and also more than enough people to tag you so you can chill out or have some fun on the water slides yourself. 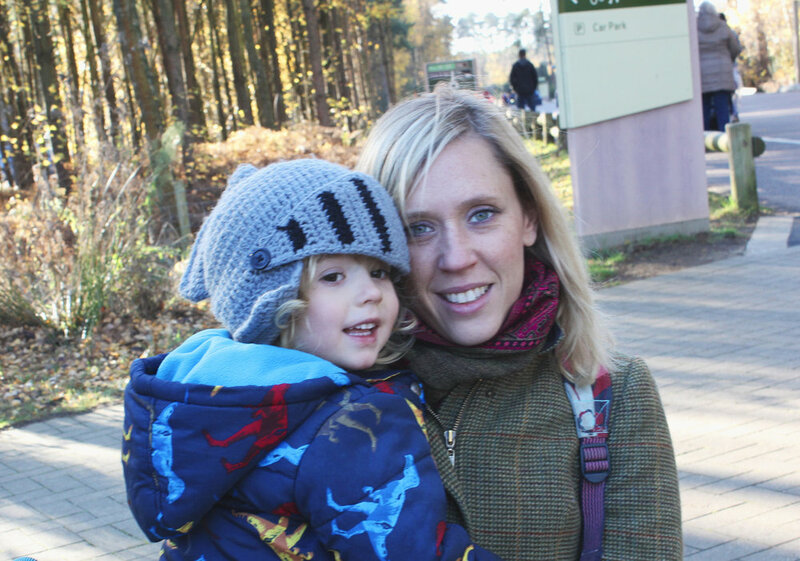 This year was a big year for us as Noah had reached the 1.22m in height needed to ride all the flumes - it was like a coming of age! On his first time down the tornado his face was a mix of exhilaration and horror fuelled by a big smack of adrenaline and I still can’t believe he went down it! I scream like a banshee every time – it’s terrifying! Beau was mortified by Noah’s height gain and new access all areas status, but this was short lived because he has developed fish like swimming qualities, so now qualifies to go down the rapids. The highlight of my holiday was going down the rapids on the last day with my two big boys, with us all bashing in to each other, tangling up, splashing and having a great time whooshing down. I looked at them laughing away and realised how quickly they were growing up, and revelled in the moment of being able to share it with them. The start of our Christmas spirit definitely now coincides with our annual visit to center parcs, just being in a forest at that time of year is pretty magical then add a glittering array of twinkling lights lining bridges and wrapped round trees with huge chistmas trees, angels and baubles dotted around the site and it is perfect. There is also a Christmas area for the kids complete with Santa’s grotto, his reindeers and lots of elves milling around. On Tuesday evening the sky was lit up with the firework display following jugglers, performers and glowing hoola hoopers to twirl away in, with the finale being santa zooming down from the tree tops by zipwire! After all the excitement Mum and I headed off for a relax at the on site spa ‘Aqua Sana’. It definitely lived up to its description as a world of spa’s – it is enormous, completely blissful and deserves a whole post to itself! We need to be fitter for this break, 4 hours in the pool after a morning run and a cycle ride leaves you pretty whack, the kids all slept like babes every night - complete exhaustion all round. A big outtake was Cass coming down with a bug at the end of the trip and throwing up in Cafe Rouge - not ideal. We take our own food with us, the supermarket on site has everything you need, but it is more expensive than outside the parc. 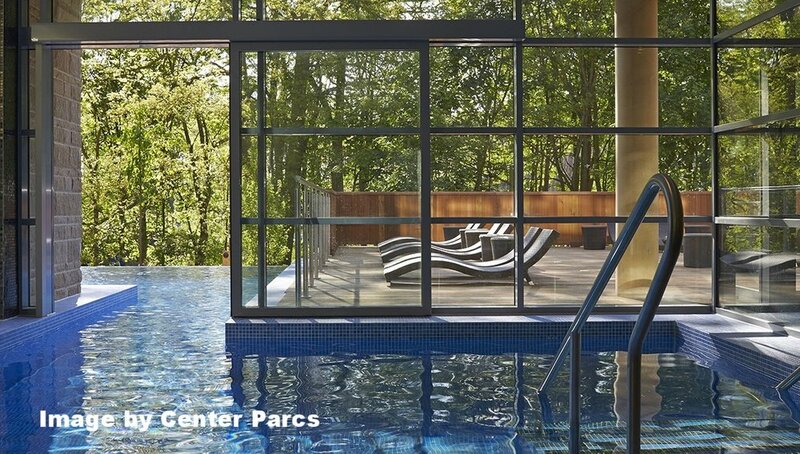 Make sure you spend lots of time at the pool, it's free and so good for all ages, our kids have pretty much learnt to swim at Center Parcs over the years. A great way to miss the crowds is to have an early lunch and try to get there between 12 and 1, it empties out around this time when all the morning swimmers have worked up and appetite and leave for lunch. You can also take your own bikes, if you can get them in the car. The earlier you book, the cheaper the break is and they also often offer a 'lowest price guarantee' so that if you look back after you have booked and the price has decreased they will refund you the difference. Make time to visit Aqua Sana, it is the ultimate spa!